Inaugural combined World Championships will take place in the city in 2023. 13 exiting world championships are coming together. He said: "I am delighted that the UCI has today awarded the 2023 UCI Cycling World Championships to Glasgow and Scotland. "The creation and the implementation of this event was one of the commitments I had made during my campaign for UCI presidency and I am proud to have fulfilled it." 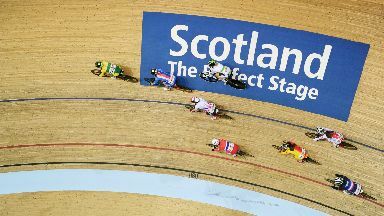 Tourism secretary Fiona Hyslop said: "As the first ever host of this event, Scotland will cement its position as a leader and innovator in the planning and delivery of major sporting events. "It builds upon the successes of the 2014 Commonwealth Games, the 2014 Ryder Cup and last year's European Championships.